Perfect for meetings and conferences, ensure every second is covered thanks to 360deg recording. 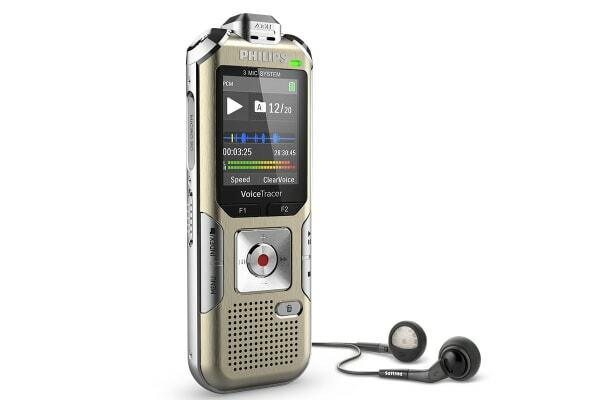 Never miss a word with the Philips 8GB 3 Mic Voice Tracer Audio with Auto Zoom. 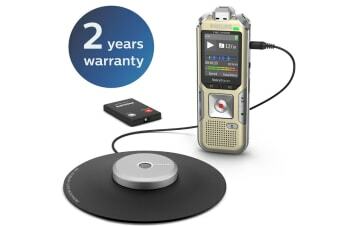 Capture lectures and interviews in outstanding sound quality thanks to the 3 Mic AutoZoom+ technology. Used to suppress surrounding noises, this Philips Voice Tracer allows your recordings to have little to no background noise, resulting in crystal clear sound. The built-in motion sensor also automatically selects the right microphone for each situation, giving you the utmost of quality recordings every time. The innovative full radius meeting recorder captures everyone’s ideas in excellent audio quality no matter where they are seated at the table. The meeting microphone’s boundary layer design uses dynamic acoustic pressure to provide excellent sound and recording quality with a full 360deg sound pickup. The built-in motion sensor automatically detects when the recorder is placed down, being held, or is in a noisy environment. 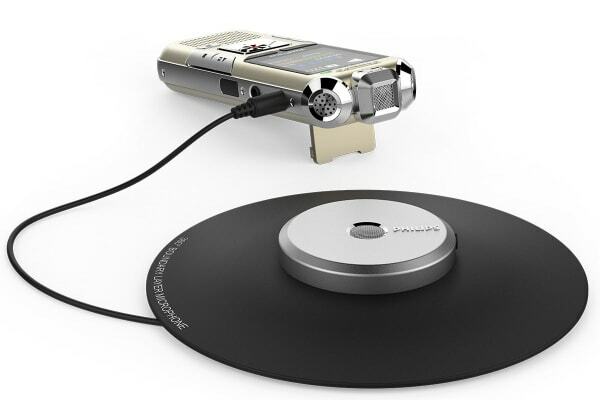 This technology adjusts the microphone settings to ensure you are always recording with the best possible option. The pre-recording function allows you to record the last five seconds before you press the record key. This feature allows you to spontaneously record important parts of a conversation, so nothing is ever missed. With a built-in memory of 8GB, plus room for up to 32GB of additional memory, you have virtually endless recording possibilities. Simply add in a Micro SD memory card for extra storage space.